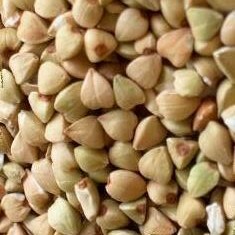 Buckwheat contains a glucoside named rutin, a medicinal chemical that strengthens capillary walls, reducing hemorrhaging in people with high blood pressure and increasing microcirculation in people with chronic venous insufficiency.Buckwheat contains D-chiro-inositol, a component of the secondary messenger pathway for insulin signal transduction found to be deficient in Type II diabetes and Polycystic ovary syndrome (PCOS). A buckwheat protein has been found to bind cholesterol tightly. It is being studied for reducing plasma cholesterol in people with hyperlipidemia.